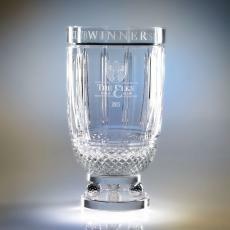 As one of the most beloved sports around the world, golf is a prestigious and adored game that deserves awards that are just as special. 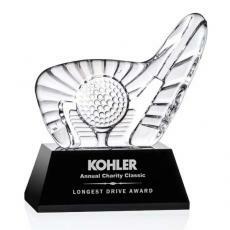 From tournaments and golf fundraisers, to golf charity events, golf awards from Awards.com are perfect for the winners and participants. 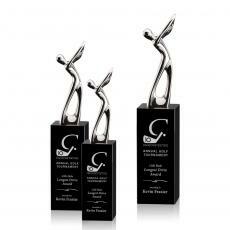 These gorgeous crystal and chrome trophies, awards, cups, paperweights, and card holders are treasures receivers will love to display in their offices, homes, or awards cases. 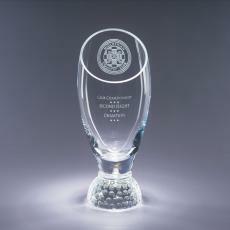 Engraving the name of the recipient and your organization on these golf trophies makes sure whoever sees it associates your business or organization with immense beauty. 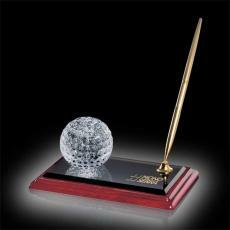 Awards.com does not skimp on quality when it comes to golf awards. 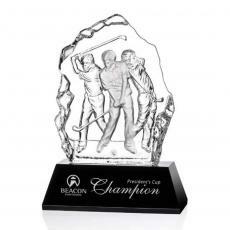 Our golf trophies are made from gorgeous crystal that sparkles wherever it is displayed, and when it is being handed out on the course. 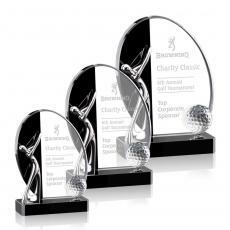 These golf awards are dazzling reminders of the golfers' time spent playing in conjunction with your organization. 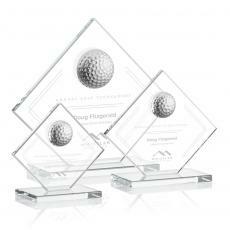 Whether you're hosting a company fundraiser or are presenting a competitive tournament, these golf awards are the perfect complement to an exciting time playing on the course. 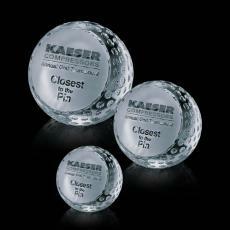 All our golf awards include free logo, engraving, and proof, so you can customize them based on your association and the player. 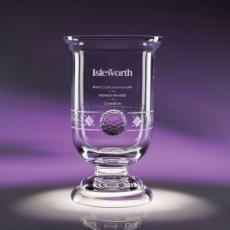 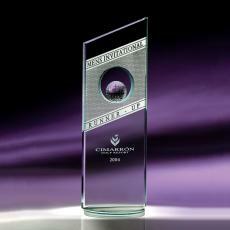 Our unique designs are sure to create positive sentiment for your brand and event whenever anyone sees the award. 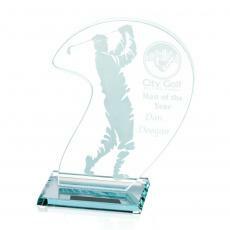 If you hold annual or regular events, presenting golf awards from Awards.com will be something participants look forward to again and again. 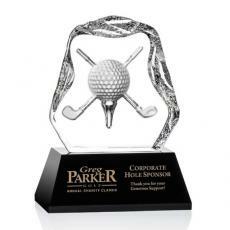 Shop here to find golf award ideas for your next event. 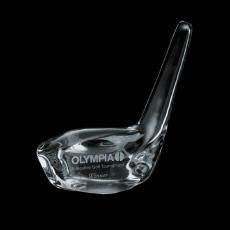 $340 - $460| Sizes: 10.5", 11.5" & 13"
$75 - $110| Sizes: 10", 6" & 8"
$115 - $225| Sizes: 10", 12", 8" & 9"
$36 - $88| Sizes: 2.375", 3.125" & 4"
$85 - $115| Sizes: 10.5", 8.5" & 9.5"
$240 - $280| Sizes: 10" & 11.375"
$125 - $195| Sizes: 2"x6.5", 2.375"x7.5" & 3.25"x9"
$190 - $310| Sizes: 10", 12" & 14"
$80 - $220| Sizes: 5", 6.5" & 8"
$100 - $140| Sizes: 6", 7" & 8"
$85 - $120| Sizes: 6"x5", 7"x6" & 8"x7"
$115 - $230| Sizes: 10", 12", 7" & 8"
$645| Sizes: 13" & 5"x13"
$135 - $175| Sizes: 6.5", 8.25" & 9.125"